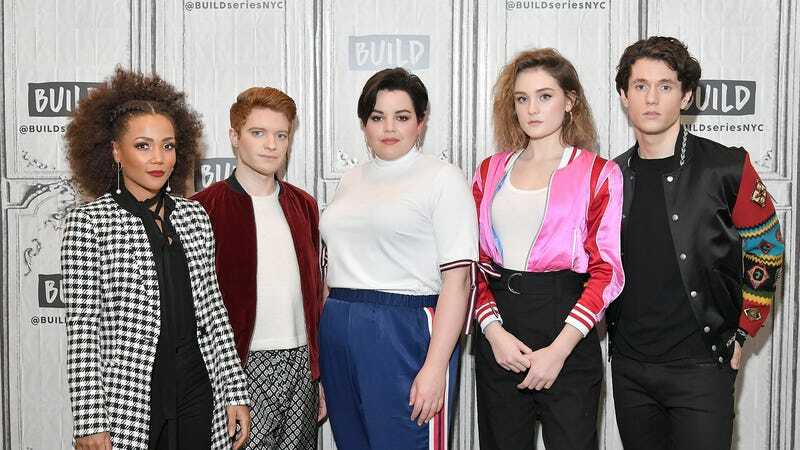 Having faced so many critiques and setbacks that we’re now officially out of “What’s your damage?” jokes, the Heathers TV reboot has now been dumped by yet another network. Per The Hollywood Reporter, the controversial remake has just been scrapped by Paramount Network (a.k.a. the recently redubbed Spike), where it was recently moved from its original (and tonally incongruous) home at TV Land. This is a high school show, we’re blowing up the school, there are guns in the school, it’s a satire and there are moments of teachers having guns. It’s hitting on so many hot topics. This company can’t be speaking out of both sides of its mouth, saying the youth movement is important for us and we’ve done all these wonderful things to support that and at the same time, we’re putting on a show that we’re not comfortable with.